iDental is a private general dental practice located close to Acton, Shepherds Bush, and Hammersmith in West London. We are attached to The Medical Centre, an NHS general medical practice, so all your health needs can be looked after under one constitution. The Medical Centre was established in 2000 by Dr Ravi Kukar, with the formation of iDental in 2010 by Dr Rahul Kukar. We aim to provide easy access, with a degree of flexibility related to dental appointment days and times for patients who are involved in full time work as professionals. iDental / The Medical Centre has a responsibility for the safety of both our patients and staff. We take this accountability very seriously, and follow the strict guidelines and regulations in place. We are fully registered with the Care Quality Commission, who meticulously govern and regulate the provision of healthcare services. We comply fully with the HTM 01-05 "Best practice" policy in infection control. We are delighted to discuss any queries that our patients may have. We conduct strict policies and guidelines of operation in certain areas of practice. We require a 24 hour notice on any appointment cancellations. A combination of 2 late cancellations or failed appointments may result in the need to pay a failed attendance fee before any further appointments can be arranged. This will be done at the discretion of the lead clinician. We do not usually provide treatment at the first appointment, which is an initial consultation to determine and discuss your treatment needs. Once this stage has been completed, you will be given a written Treatment plan with a list of items and the associated costs. You will then be booked in to have this treatment carried out at the mutual convenience of yourself and the dentist. We give a 2 year free warranty on all our permanent treatment to give our patients confidence and a peaceful mind. It is our practice policy to give patients full information about the cost of their dental care before any treatment is undertaken. As a result, we provide treatment by appointment only, and each course must be preceded by a full and thorough clinical examination, at which time, we will provide our patients with a treatment plan and written estimate. You can view our private fee scale here or ask at our reception. We offer patients a range of payment options, depending on their needs. You may pay for your dental care by cheque, cash, or credit/debit card. We try to make payment as straight forward as possible. Our normal policy is that patients are asked to pay for treatment as they receive it. However, a minimum of 50% deposit is required for lab orientated items, payable at the preparation visit. Dr Rahul Kukar is our Principal Dentist and Clinical Director. 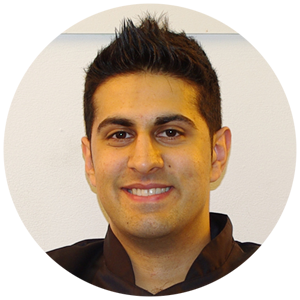 Born and raised in London, he graduated from Kings College London in 2007, and has since then completed post graduate training in cosmetic dentistry and facial aesthetics. Rahul’s vision was to open a contemporary medical and dental polyclinic where he could offer a full range of treatments in a relaxing environment, with the highest level of patient care. He is a GDP with keen interests in cosmetic restorative dentistry and facial aesthetics, and is highly skilled in the provision of cosmetic crowns/bridges, tooth whitening, and Botox. His hobbies include football, gym, and travelling. Dr Ravi Kukar is our principal GP. He has worked as a consultant anaesthetist in hospital, and established The Medical Centre in the year 2000. He is currently accepting, and encouraging the registration of medical patients at the practice. In his spare time, he enjoys gardening, and socialising with friends and family. Sadhna has been employed in the medical profession for over 10 years. She is extremely hard working and very committed to her role. She is friendly, approachable at all times, and will go out of her way to help you. In her spare time, Sadhna loves to read, cook, eat out and watch movies.